Many kids go through a phase when they really want to grow up to be dentists. Dr. Jeffrey Patrician never outgrew this. It was, in fact, the only thing he ever wanted to do. 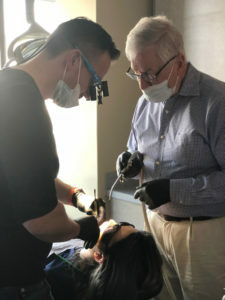 In 2005 he graduated as Class President from Baltimore College of Dental Surgery, University of Maryland (the ﬁrst dental school in the world; Doc Holliday may have gone there; home of the National Dental Museum; book a trip now!). Over the years he has spent hundreds of hours in continuing education courses advancing and updating his techniques. He has received several awards, some of which are directly related to his dental practices. After 7 years enjoying private practice in Northern Virginia, which is known for its good pho and horrifying trafﬁc, Dr. Patrician determined it was time to head west. 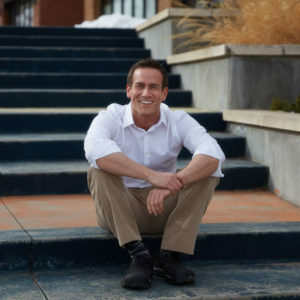 He moved to Boulder, Colorado, where he established Boulder Dental Arts. His goal with BDA? To provide his patients with the best dental care available using the most advanced technology in the industry, in a comfortable office, with a friendly and inviting staff to run the show. And that’s exactly what you can expect when you make a dental appointment at Boulder Dental Arts! Beyond teeth, Dr. Jeffrey Patrician enjoys everything Boulder has to offer. Running, swimming, cycling, climbing, farming wheatgrass, yoga, drilling holes in small objects, swimming, contortionism, hand balancing, etc. Dr. Patrician also enjoys not being in trafﬁc and does not own a TV – a fact that grants him 4 points of Boulder Cred. Schedule an appointment with us today to meet Dr. Pat and the rest of the BDA team!